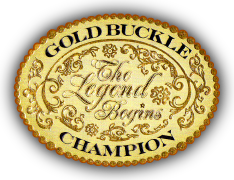 Gold Buckle Champion’s signature event is ” Legends in the Making” a program designed for our youth ages 6-21 to reward them on a point system for deeds done in the community. Once a year they can use the points they have gathered all year to buy at auction, items donated by the community, individuals and Gold Buckle Champion. Gold Buckle Champions Reaches Internationally!